Though he isn't quite so well-known in the West, one of the greatest Transformers illustrators of all-time is Hidetsugu Yoshioka. 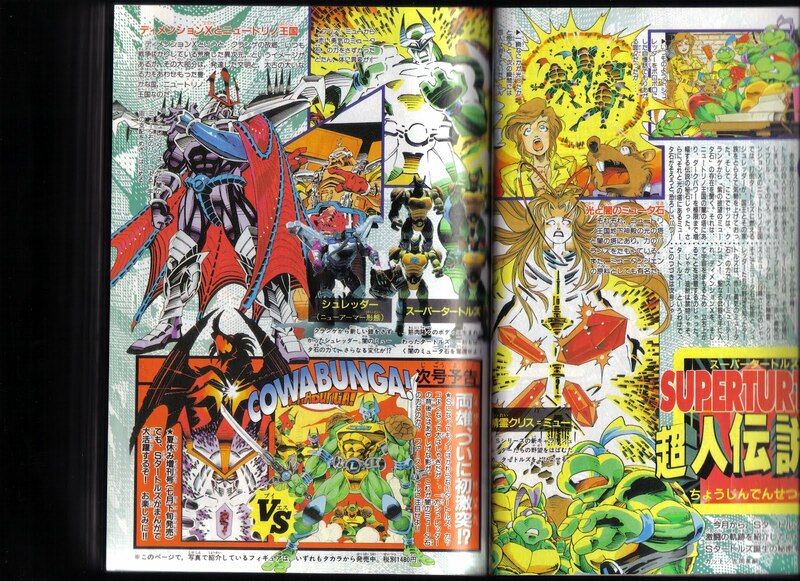 In the mid 90s, Takara commissioned him to illustrate a series of "story pages" for the magazine Comic Bom Bom to promote their Super Turtles and Metal Turtles toylines. 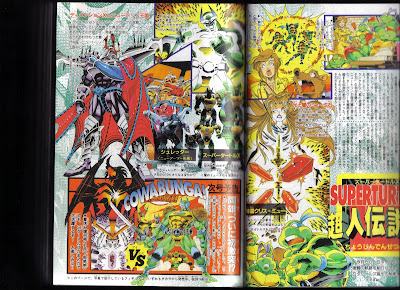 You can find a complete gallery of the pages at TFPulp, though they aren't of the best quality (they're large, but badly pock-marked). The hardest book I've ever tried to scan! I hope I'll be able to acquire the rest of the series one day.